I’ll admit that doing your taxes isn’t exactly home improvement-related, but the “fixing” part does apply to the “Fix-It Friday” theme today. My dad, who helped us with our federal taxes this year due to all the crazy forms we needed to fill out, told us the other day that he’d made a “mistake” on our tax return. “Uh-oh,” I thought. Using the words “mistake” and “tax return” in the same sentence never bodes well. I immediately had visions of getting audited by the IRS, which is a scary thought for anyone. It turns out that we forgot to fill out and attach Schedule M for the Making Work Pay credit. But this is a good thing, as it means money comes to US, rather than the other way around. Working couples whose gross adjusted income is less than $150,000 ($75,000 for singles) qualify for a simple $800 credit ($400 for singles). The amount of the credit is reduced if your income levels are higher than these stated thresholds, but that’s not something we have to worry about, unfortunately! While preparing your taxes yourself can, in theory, be a money-saver, it’s not if you don’t know all of the tax credits you qualify for. I thought I had done a good job of scouring the IRS web site and the Internet for information about what we qualified for, but I’d totally missed the Making Work Pay credit. It’s hard to keep up, as the tax laws change every year. So how can you ensure you have all of the forms you need to do your taxes and not miss any money-saving opportunities? Check IRS.gov every year to see what’s new in the world of tax forms and publications. Mrs. Micah created a Mammoth 2009 Tax Credit and Deductions List, which is helpful for those who still need to file their taxes this year. Use tax-preparation software — but make sure it’s current, so you’re not getting old information and missing out on new tax laws. 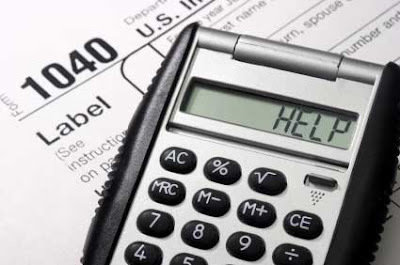 Go to a professional tax preparer. There’s a cost involved, but if you’re missing out on credits by doing it yourself, the fee is worth it. @SAHM CFO: Really? That would be great. I'll see what happens with our refund and watch for a similar letter. The IRS is apparently fixing these mistakes for you so you MAY not need to file an amended return. I made a similar mistake when I filed and received a letter from the IRS indicating our refund would include the full "making work pay" amount.